It seems that it's taking me longer and longer to get these preludes and fugues posted but I will persevere! This time it is music that has gotten in my way - lots of it. But another thing that has come into play is that I've managed to hit yet another wall in this project. I got stuck at the exact same point in the book when I was going through and learning them all several years back - I breezed through the first 10 or so and then wham! Standstill. After months of attempting to push forward, what did I do? I flipped to the end of the book and worked backwards through the rest of the book. I like practicing backwards so why not? It worked then so skipping a handful of preludes and fugues, I'm now at the Prelude and Fugue in B minor. Yes, there's a lot in between that we've missed but I promise, we'll get there...eventually. And regarding the video quality and angle in these videos, they're not stellar, I realize. It was one of those moments when I was playing around with my new video camera and the prelude and fugue seemed to actually click with me so I decided to just go with it. Perhaps I'll get a better take eventually and will swap them out. The B minor Prelude mesmerizes me. I play it as a sort of meditation because of its incredibly profound simplicity. It is made up of very few motives and ideas that keep me grounded in one thought. 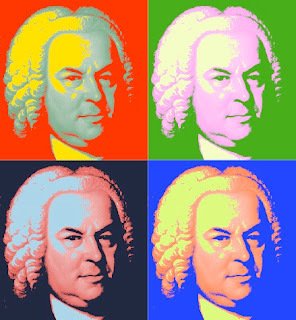 But as with many meditations, Bach takes me on a journey with this one thought by holding it under different colored filters to show how one idea, one concept, can come across in an entirely new way if explored in a different context. Within two pages of music we hear the main subject of the prelude in B minor (brooding,) D major (sweet,) E minor (lonely,) F-sharp minor (dour,) and then finally back to B minor which now, thanks to our journey, feels more resigned than brooding, at least to me. In the classical music world there is debate as to whether or not keys have unique colors. After working on this prelude I am on the side of those that believe that yes, different keys are very distinct from one another. And the fugue. Surprise, surprise, I found this fugue a little bit tricky because of some particularly nasty little trills that Bach decided to incorporate into the countersubject at the beginning. Thankfully the countersubject dies a rather quick death and is gone after only a few lines. I'd like to think that the composer himself had difficulty executing the ornaments and chose to move onto something more playable. 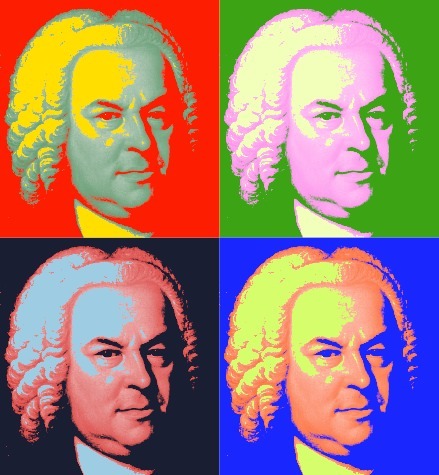 One thing I find fascinating about this final fugue in the book is that Bach seems to actually throw away his own fugal conventions, choosing instead to focus on playfulness and frivolity in the many long episodes and sequences that take up the latter half of the piece. Practically forgetting the subject altogether (its last full appearance is in the middle of the fugue) he plays around instead with a crazy sixteenth-note accompaniment that shows up in both hands and that defy the ear because of its wide range. To the ear it sounds like the sixteenths are dancing around the other voices, making it virtually impossible to separate the individual parts. For the pianist, this can be extraordinarily challenging. For the listener, it can be dizzying but also incredibly thrilling. Hmmm...maybe I should just listen to someone else playing this fugue from now on! To read and view more preludes and fugues from this project of mine, please see the list of links to them on the right-hand side of the webpage. And keep in mind there are plenty more to come. Just stay tuned! Very nice! You know I am sort of doing the same thing, but instead of going straight through the book, I jump around and choose whichever P&F set appeals to me. It's been working for me. The recordings are posted on my blog (some are kind of rough, but it's a record, not a contest . . .). btw, what kind of video camera do you have? I've been thinking of getting one myself. I'm so glad that you told me about your WTC project. You've commented on this blog many times before but for some reason I had missed that you were doing this as well. It's really great to find out that I have a bit of a partner on such a project although you're much braver than me since your goal is to do all 48! I just listened through several of your recordings and they are wonderful to listen to. I'm glad you're willing to share them as well in a rough version as I am also doing. It's about so much more than perfection - at least it is for me. In regards to the camera, I just got a ZoomQ3 and am trying that out. On these particular videos I used the zoom feature on the camera. Ironically (because of the name) the zoom feature doesn't work well on the camera, thus the graininess. Oh well. But I think the sound is good. Thanks for listening, Nicole! And now I'm going to have to go take a look at the B minor one you mentioned. So curious now! I love this last P&F more than the entire the book partly because he does depart into a new territory....he's almost painting withe colors and brushes...much like Beethoven's Waldstein Sonata....and you bring out the voices so well. I like your blog.